I live in San Diego. 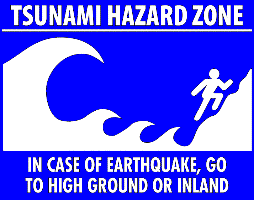 Many roads I travel on have Tsunami Evacuation Route signs on them, and many locations in California have signs posted warning that you are in a Tsunami zone. This article is your warning sign, because there is a “tidal wave” of expensive projects coming, and you may be sitting on the beach. The vast majority of the properties that my firm is involved with are more than 25 years old. In fact, many of our clients’ properties are at least forty years old. Did any of you notice changes happening as you got older? Speaking for myself, as soon as I hit 35 it became harder to lose that extra 10 pounds, my knees hurt, and some nights I just cannot sleep. Many of us can say from personal experience that things happen as we get older. The same thing happens to our buildings. How do we see this with our clients’ properties? Roof systems that have performed for years without you giving them any thought suddenly have numerous leaks. Major structural components like decks, balconies, and outdoor walkways suddenly have major beams or columns that need to be replaced — not just repainted. Heating, Ventilating, and Air Conditioning (HVAC) equipment suddenly fails and needs replacement. The list goes on and on. The challenge, for many of our clients, is that these major system failures are happening at a time when many property owners are already grappling with a back-log of deferred maintenance. Now, if you are reassuring yourself that this does not apply to you because you have a reserve report and have been funding those reserve accounts… Ask yourself two questions: First, how well-funded are my reserves? If your reserve funding is less than 75%, you likely have a looming problem. Second, does your reserve study account for major components like the structural system or the building’s infrastructure (e.g. : plumbing systems, elevators, etc.)? Repeatedly, we have been seeing our HOA clients struggling to deal with the sudden, catastrophic failure of a major system because it was never accounted for in the reserve study. We have three associations we are working with currently who are facing the need to bring special assessments up for votes to fund major structural projects for balconies, stairs, and exterior walkways due to major structural failure. We have several others who are grabbling with pin-hole leaks cropping up throughout their buildings, requiring replacement of pipes inside the walls. So how do you get out ahead of this coming tidal wave? First, have an evaluation of your property performed so you have an idea of what issues are out there and can prioritize them. Second, make sure that your budgets and forecasts include building systems that are reaching the end of their useful lives (in many cases this is between 35 and 50 years, so if your buildings are in that range, assume you have pending issues). Finally, plan realistically so that you have time to identify, design, budget for, and replace systems before they fail catastrophically. Remember that you don’t have to handle this by yourself. You can work with outside consultants to help evaluate your facilities and give you a professional assessment. The key is to start planning and preparing so you do not find yourself staring up at a wall of water, wondering what to do next.